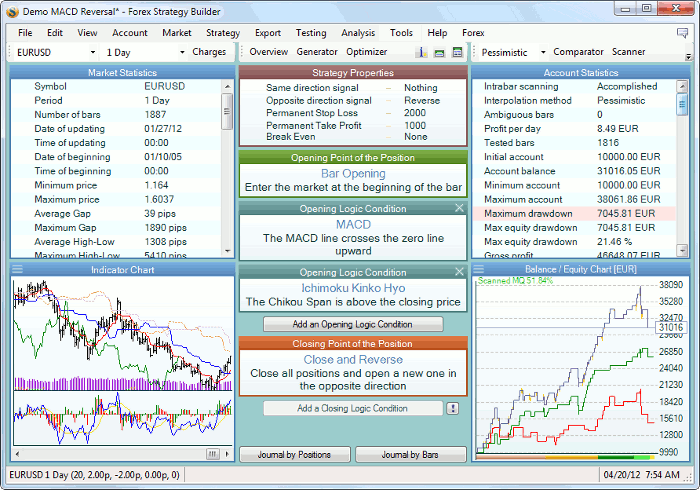 forex, forex strategy, forex software, forex tester, technical analysis, technical indicatorse visual interface. It provides tools as a scanner, an optimizer and an automatic strategy generator. It includes one hundred technical indicators. Generator, Bar Explorer and Journal was improved.